Summer Grill Ready - A DIY Grill Kit - Oak House Design Co.
With this coming weekend being the last one before school lets out, I feel almost giddy with joy! I probably shouldn't feel that way, since I'm not the one in school, but I am pretty excited to spend more time with my little guy. Now to me, summer time calls for firing up the grill! I love the smell of a charcoal grill, the sound of planes flying by in the distance, and lawnmowers running. They all signal summertime. I just started grilling a year or so ago. Before then, I just left it up to my husband, because I thought it was too difficult. I'm definitely not an expert, but now that I've figured out the basics, I really enjoy it! One thing I am notorious for is running back and forth inside the house to get the needed utensils, and cooking supplies for the grill. I tend to keep some in the pantry, some in the kitchen, and some in the garage. 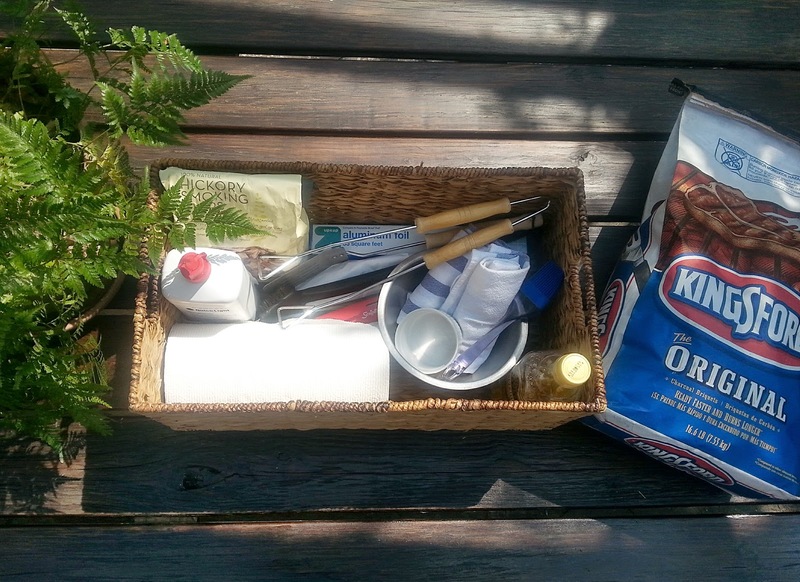 I thought it would be nice to put together a grill kit for keeping everything corralled together. So what do you need in a grill kit? 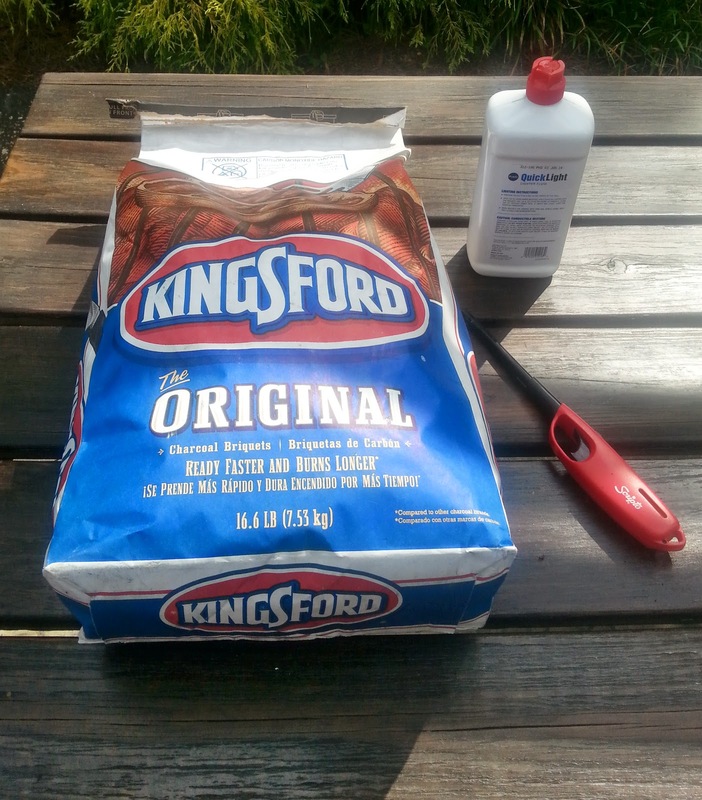 You would, of course, skip the charcoal, lighter fluid, and lighter for a gas grill! The first thing I do when grilling is clean the grill. 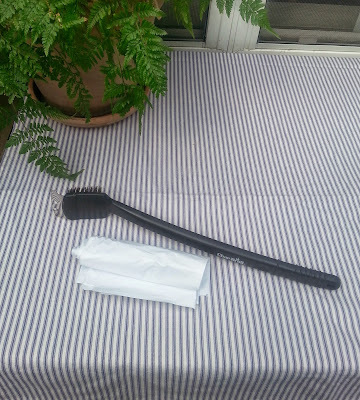 Grill grates get covered with bits and pieces of what you're cooking, so a grill brush is necessary for cleaning them off. I also keep trash bags to dump the cooled ashes. Next, if you want to add wood chips to the grill, get them soaking so that they are ready when the grill is hot. Once the chips are soaking, it's time to light it up! Stack the charcoal into a pyramid, apply lighter fluid, and light the coals. The bag usually says to give them about 15 minutes to ash over. Allowing the coals to ash over means they are hot enough for cooking. After they ash over, spread them out and close the grill for 5-10 minutes to allow the grill to heat up. 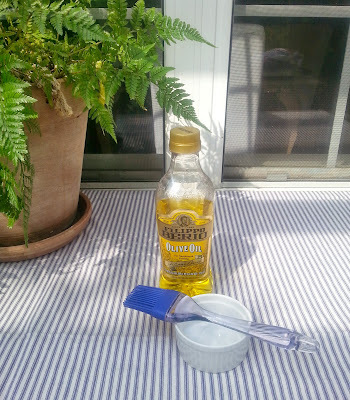 While the grill is heating, I usually oil the grates so that the food doesn't stick. 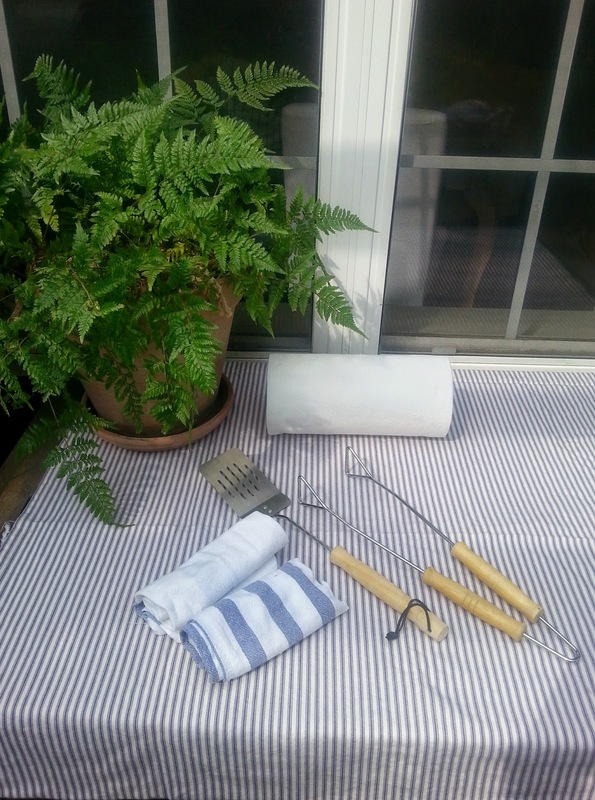 One of the final things you'll need for a grill kit is cooking utensils and towels to wipe up. This is what I am always running back into the house to find! 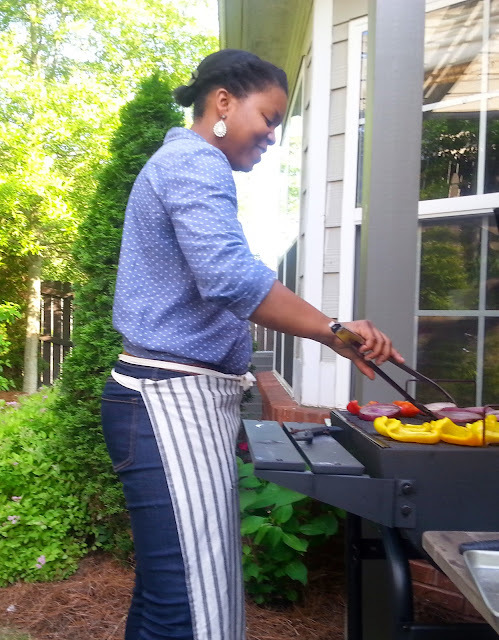 With all your supplies together, its time to grill out and enjoy the fruits of your labor! 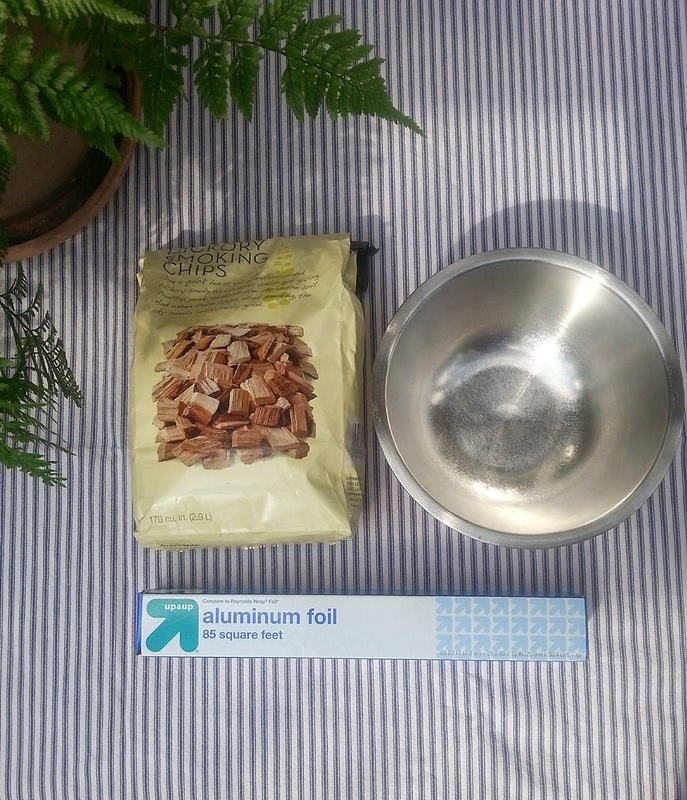 If you're using wood chips, drain and wrap them in foil. 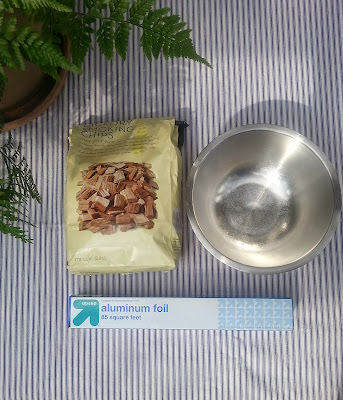 Poke a few holes in the foil to allow the smoke to rise. Throw whatever you like on the grill, and sit back and relax! One of my favorite things right now is grilled vegetables. I grilled last weekend, and I'm telling you an onion has never tasted so good! I also made what I am calling a Grilled Guacamole. 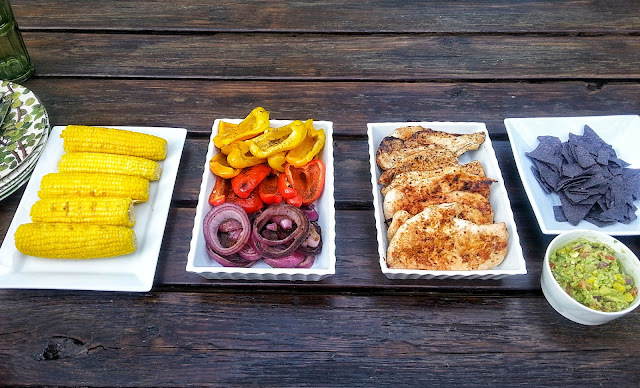 I used all of the basic ingredients, but used grilled onion and added grilled corn. Sooo good too! Hopefully having all of my supplies together will make it easier for me to grill out this summer! I think I'm realizing there's a difference between grilling and barbeque-ing, at least to me. Barbeque requires sauce and maybe pork? You gotta have ribs right? So I won't claim to know how to barbeque just yet, but this is a start! 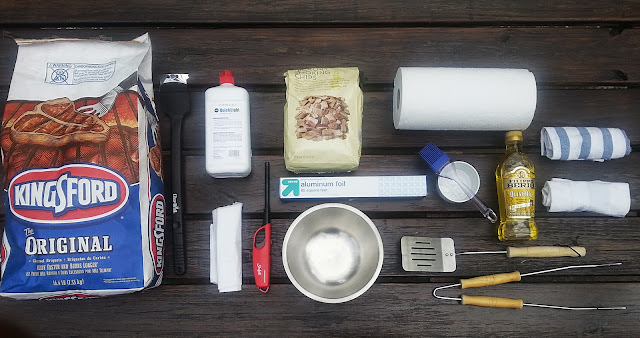 What would you add to a Grill Kit? Do you have any tips for BBQ? I'm still biting my fingernails when I think about ribs! Let me know if you have any ideas! Linking up to Home Stories A-Z Tutorials and Tips Link Party, and Savvy Southern Style's Wow Us Wednesdays.